On the 25th May 2018, the EU’s General Data Protection Regulation (GDPR EU 2016/679) will take effect. For many website owners in Japan, this post might be the first occasion to hear about the new European regulation. a) What’s it all about? The European Union has been moving for some years toward strengthening the digital data protection rights of it’s citizens and residents. Recent high profile cases of private data mishandling have no doubt increased the resolve of regulators in this area. The GDPR boils down to seven key principles. When personal data is collected, it must be clear as to why that data is being collected and how the data will be used. Organizations should be clear about the specific purpose for which they are acquiring personal data. Organizations must be sure that they are only storing the minimum amount of data required for each purpose. Personally identifiable information must remain accurate, valid and fit for purpose. Organizations must have controls over the storage and movement of collected personal data. Organizations should evaluate how well they are enforcing security policies, utilizing access controls, verifying the identity of those accessing the data and protecting against malicious data access. Organizations should be able to demonstrate compliance through an audit trail and an identifiable process for responding to requests from users to access, edit or delete their personal data. b) What kinds of data are impacted? Location data is any information that has any kind of geographic position attached to it. This is classed as personal because it could be used to identify where an individual lives, works, and sleeps, or to find out social, religious or cultural identities. Online identifiers refer to digital information such as IP addresses, cookie strings or mobile device IDs. For example, as an IP address can be used to find out where an individual is located, it is clearly personal data. c) Do I REALLY need to worry about this? The intent of the rules is that they will apply regardless of where the organization handling the data is located. 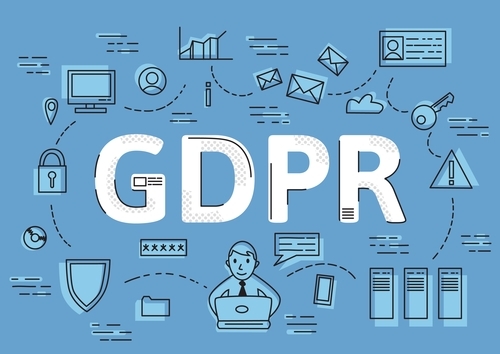 The first point to make clear is that the GDPR is intended to potentially apply to any organization which collects, processes and stores information of residents of the EU. The intent of the rules is that they apply regardless of where the organization handling the data is located. So any organization based in Japan whose activities relate to “offering of goods and services to data subjects in the EU” needs to assess their liability and compliance strategy. Article 3 (Recital 23) of the GDPR governs its territorial scope. The following seem to be clear cases where GDPR compliance liability would apply. Simply having a website on the global internet that visitors from Europe randomly access would seem to NOT fall within the scope of GDPR compliance. So, while international enforcement mechanisms at the moment might be still evolving, it is clearly an area of enforcement litigation that could develop over time. There is a non-trivial risk of litigation against non-EU organizations both now and in the future. The final point worth noting is that the Japanese government have themselves also been moving in the direction of stricter regulation and enforcement of personal data protection. The Japanese Act on Protection of Personal Information (2017) was enacted to create a similar privacy protection framework to the EU. So there is already a legislative necessity for organizations based in Japan to meet certain privacy protection standards. 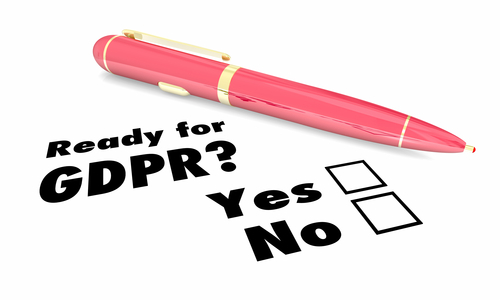 Reviewing GDPR compliance might therefore be a good opportunity to assess how fully Japanese organizations are meeting the existing local regulatory requirements. d) What (if anything) do I need to do about this? The potential costs of not doing anything are worth noting. * Note to current clients: If you’d like help developing your GDPR compliance statement, feel free to contact us. iii) request deletion of all personal data. The latest version of WordPress (4.9.6 at the time of this post) has some inbuilt tools for dealing with requests for user data and data deletion. e) Are there any exceptions to the GDPR rules? Generally speaking, the EU regulation will support the rights of the data subject (the user) with respect to GDPR. However, there are some circumstances where an organization could claim that they have a “legitimate interest” in withholding or processing data in a way that doesn’t meet GDPR standards. – balance it against the individual’s interests, rights and freedoms. A practical example of the “legitimate interest” test would be the issue of website backups. There is a compelling argument that website owners need to retain complete database records for a period of weeks or even months in order to maintain effective security and stability of their systems. In most cases, such backups are digitally compressed, encrypted and access to them is strictly locked down. This could be relied upon to override a data subjects “right of erasure” from the organizations records. – Subjectively, these “interests” weigh greater than the individuals right to “be forgotten” from data backups. To claim a “legitimate interest” exemption, organizations should state the reasons in their GDPR compliance policy. If the exemption is something that data subjects would not reasonably expect, or if it would cause unjustified harm, their interests are likely to override a legitimate interest claim. * Disclaimer: Tokyo Web Designs is not a law company. We are not qualified to offer a legal opinion and this article should not be regarded as such. All of the information contained herein is a result of researching layman’s articles across the internet. For proper legal advice you should consult a recognized legal practitioner.